It is no secret that parenting teens can sometimes be challenging. However it can also be very rewarding. 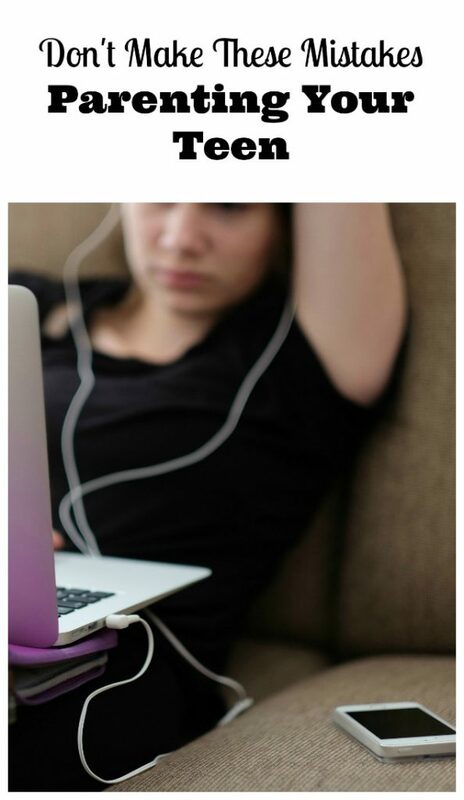 Parenting teens these days is a whole new challenge because there are so many kinds of technology, including social media, dominating our teen’s lives and opening the door to things like cyberbullying and peer pressure in a whole new format. Many teens feel stressed out and hopeless and so do many parents. Sometimes we can let frustration get the better of us when teens think they know it all but don’t make these mistakes parenting your teen. I have witnessed what happens when parents stop tying with teens and leave them to blunder on by themselves and the results are, not surprisingly, detrimental. If your teen is more than you feel you can handle, you are not alone. Don’t make these mistakes parenting your teen. Get help whether it is from this book or a qualified professional, but don’t give up. Keep trying! Think of parent involvement as a 10-point scale. One grief-based parenting response—seen more often in dads than moms—is withdrawal, which is 1 on the 10-point scale. (“The hell with him. He’s on his own. Who cares what he does?”) Cutting off your kid can feel satisfying in a macho, payback sort of way for a little while, but it’s dangerous. There is a huge risk in withdrawing parenting from a brain-challenged creature in the midst of the most transformative changes of his life, and in the midst of a toxic culture that will rush to fill that vacuum with scary prompts. That recipe can cause exactly the kind of resilience loss that creates the suffering we talked about in Chapter 1. You see, parenting up to adolescence is easy. Anybody can do that. The tumultuous teen years are exactly when the most skilled and disciplined parenting is most needed. Becoming angry and authoritarian (drill sergeant/cop). Most of us at least consider this tempting option. It’s a handed-down belief that our teens will be safer if we overwhelm them with punishments, screaming, and even hitting (most parents in America still hit their kids). We think that if we are willing to act crazier than an adolescent, then the 14-year-old will concede and give us our 10-year-old back. But as veteran parents can tell you, most teens are willing to get crazier than we are, and they get weird neurological payoffs from dragging us into that rage swamp. Be careful, for that seductive tactic of anger can work for a bit. But when it finally fails, as it always does, after the explosion it will leave a huge smoking crater in your resilience-building capabilities and your relationship with your teen. Being over-involved and excessively caretaking (helicoptering/hovering). This is where we decide that the cure for crazy is to become enmeshed and micromanage our daughter’s 13-year-old self back into her 10-year-old version. While this style usually doesn’t cause an explosion, the results can be equally toxic, but quiet. A surprising number of teens will abdicate control of their life choices back to us for a while. It can relieve them of the short-term anxiety of having to deal with the real world: “Mom, the coach is hurting my feelings by benching me for not practicing. Take care of that for me, would you?” Doing stuff like this might build the parent’s resilience. But it definitely kills the kid’s. Being permissive/laissez-faire (needing to be the friend, fearing to be the parent). This is where the teen takes charge by threatening to further emotionally withdraw from the parent if the parent dares to act like one: “If you don’t let me go to the beer party, I’ll never talk to you again and then you’ll never know what’s going on in my life. I used to think you were cool like Kerri’s parents.” This clever tactic hits the parental grief scar by threatening further emotional loss. Some of us try to disguise this as a safety measure: “If I make him upset by saying no to the beer party, then he won’t tell me when he’s doing really dangerous things.” So . . . we should keep our communication lines open to avoid his doing dangerous things by, um, letting him do dangerous things? In their own way, each of these parenting styles damages resilience growth in teens. So what are good parenting numbers? As with most things human, the resilience parenting magic lies in the middle 4-5-6 range—the styles we refer to as authoritative, a near mystical balance of firmness and nurturing (“iron fist/velvet glove”). Parents can vary a tad in either direction (3 or 7) and still be equally effective as long as they hang in that magical middle range. In Parts II and III, we’ll unmask the secrets to that magic and teach you the strategies and tactics you need to do that trick well. But for now, know that we all must process that initial “loss of my sweet child” grief straight up and apart from our parenting to keep it from driving our style. I hope you find this inspirational to get you back on track in parenting your teen. It helps to be aware of your parenting style and whether it is an effective choice. It also helps to arm yourself with parenting strategies. Read a few different authors. Often you just need to hear things said the right way before you find something that is really helpful to you. Making it through the challenging teens years will be worth all the effort you put into it! Greetings! 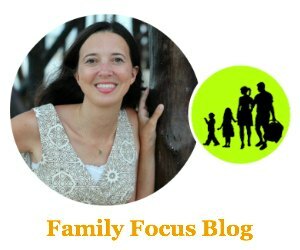 Great post as always – really enjoy reading up on your parenting advice and tips. Dealing with a teenager is never easy and every parent goes through hard times. Many parents can’t find the fine line between laissez-faire and disciplinarian tactics. It can be challenging being a busy mom and sometimes a vacation is much needed.